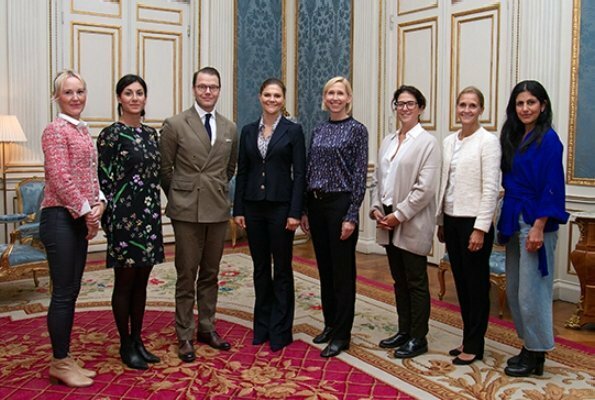 On September 26, Wednesday, Crown Princess Victoria and Prince Daniel held a lunch at the Royal Palace for members of Council of Experts of "Crown Princess Couple Foundation", that is, Lena Green, Nahal Illerstig, Pernilla Bard, Dilsa Demirbag-Sten, Elin Annwall and Golnaz Hashemzadeh Bonde. The Crown Princess Couple receives recommendations from these experts for the projects supported by the Foundation. These experts act as consultants and make offers for suitable projects. 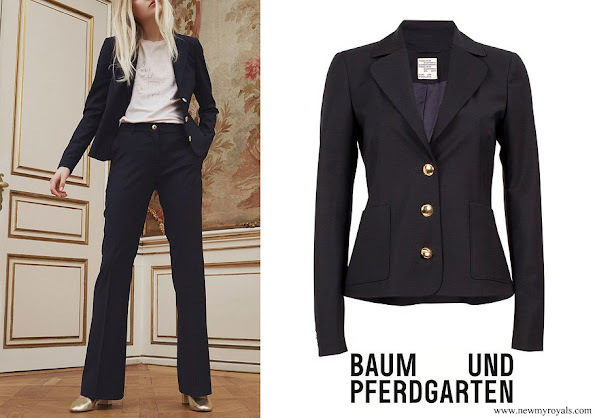 Victoria´s suit is sleek and un-fussy. A bit too long maybe, but still a great look for her. I like Daniel in a different colour than blue, and I like that he wears double-breasted jackets sometimes, but this suit doesn´t sit well. At all. The fit is terrible. Victoria is Ok, but Daniel looks like he has slept at couch that suit on before this lunch. I really like Victoria's suite. She looks pfofessional and modern. Victoria looks modern, and her suit fits her. She looks so much better in fitted clothes. This is so much better than her terrible boho dresses. Daniel needs help. I can't stand the double breasted jackets. He looks so dated. It's time for some new suits, Daniel.